Kelvin Irvine was elected Chair of the Foundation in 2016. As a former Whitireia staff member, he has a strong understanding of Whitireia, its people and operations. He has a Trade and Project Management background and has been involved in major commercial industrial projects and property management, in NZ and Australia. Kelvin’s working life started with Fletchers, serving an apprenticeship to become a certified Plumber, Gasfitter, Drainlayer, and Marine-ticketed Welder. Kelvin has first hand experience of the benefits of student scholarships. His career was kick-started with a Cadetship in Project Management and Quantity Surveying through Fletchers. His Business Management studies at the University of Otago were also completed through Fletchers’ generous sponsorship. Coming from a large family with their own boys and foster children, family and youth achievement are very important. Sport too, with 20 years coaching Club Rugby and also, Otago Representative Age Group Rugby teams. In 2011, Kelvin’s work in the tertiary property sector took the family to the Kāpiti Coast, sparking his interest in the work of the Whitireia Foundation. With farming interests in the South Island, he is a keen follower of the rural scene around New Zealand. Robyn, originally from Wellington, moved to Porirua in 1989, after a long OE (overseas experience). She is passionate about her adopted city. Robyn was a late starter in tertiary education, completing her bachelor (in Linguistics and Italian) and masters (Management Studies) during the past decade. She is an avid researcher and writer/editor, working in print and on the web. Her work as a web content writer goes back to the nineties and she has become proficient at developing websites using content management systems (CMS) like WordPress. Robyn has applied her skills to developing the Foundation’s first website and is the present Content Manager. Robyn’s research interests are broad, from education and volunteering to environmental and conservation management. Community development is a particular focus. She is currently a university research writer and management operations consultant. Richard took on the role of treasurer from founding trustee Ross Garner. Richard started his working life as a teacher in Ohakune and remains strongly interested in education. A move to Wellington gave Richard the opportunity to complete a Bachelor in Business Studies part time at Massey. Armed with his accountancy degree, Richard became a partner in what would later become Grant Thornton. Richard has a long association with Rotary and is also Trustee for the Charles and Florence Odlin Trust. Recently retired, Richard’s role with the Foundation was sparked by a desire to use his financial and governance expertise to benefit education. Rachel runs Bella Photography and has been a freelance photographer and writer for community newspapers for five years. Rachel loves learning and has undertaken wide-ranging study. She brings a welcome perspective on student experiences to the Foundation. Rachel’s career largely within the health sector has led her to nursing, investigations, team management, project management, analysis and advisory roles. 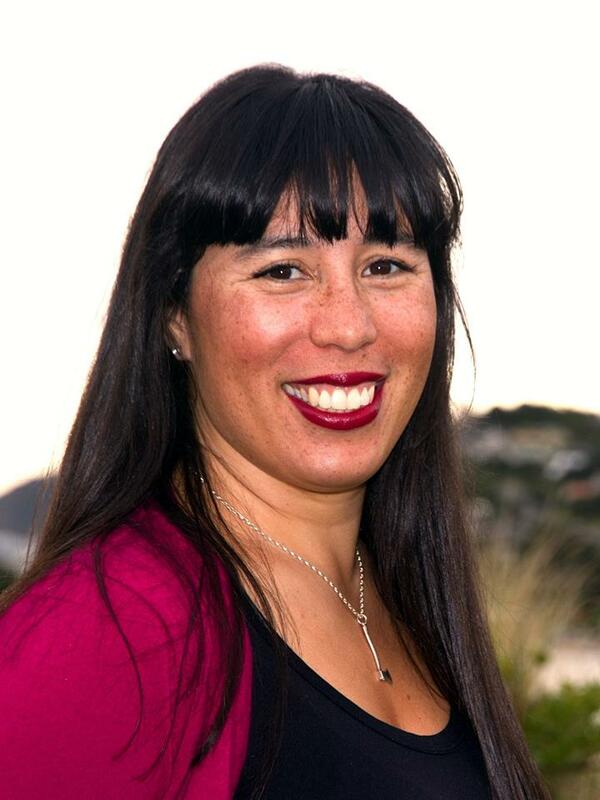 She has been involved with and continues to support e-Learning Porirua, Wellington Suburban Newspapers, Kiwi Families, Plunket, Clown Doctor’s and Mothers Network. Rachel is generous in using her broad range of skills to the benefit of the Foundation, including keeping its processes current and relevant. Rachel considers health, well-being and education to be cornerstones to creating a more equitable and inclusive society. As owner of Elite Services, a Porirua based maintenance company, Paul has been closely involved with Youth to Work and this sparked his interest in joining the Foundation in 2018. Paul and his family have also come on board as valued Sponsors – thanks Paul! 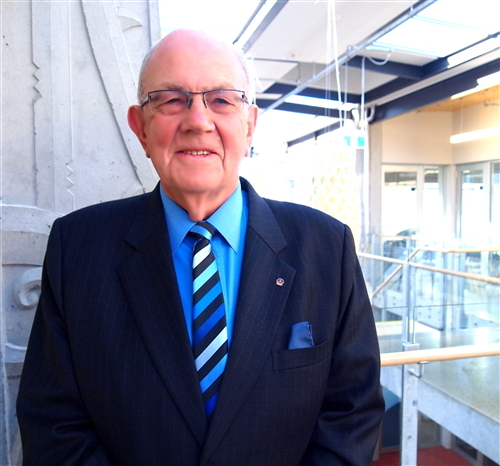 Robert holds the position of Events and Sponsorship supervisor at Porirua City Council. He is an adept fund-raiser and is applying his skills to raise the Trust’s capital fund. Tim takes well-earned retirement from his role as a Porirua City Councillor in 2016, and in March of the same year, he stepped down from his busy role as Chair of the Foundation. His time serving the foundation has seen significant structural change, with Whitireia and Weltec forming a strategic partnership and moving to one CEO and board (Council). At the same time, our scholarships grew from $70,000 in 2010 to near $120,000 for 2016. Tim has made significant contributions to Porirua community. He has chaired several Council committees focused on infrastructure, district planning and regulatory services. As a certified Resource Management Commissioner, Tim regularly sat on judicial hearing panels determining contested resource consent applications. Tim brought to the Foundation his professional experience from a career in export marketing, including the promotion of international education in New Zealand. In addition to his Council roles, his broader community work includes governance positions with other charitable trusts and voluntary activities. Tim and his wife Lana continue to sponsor nursing students at Whitireia. 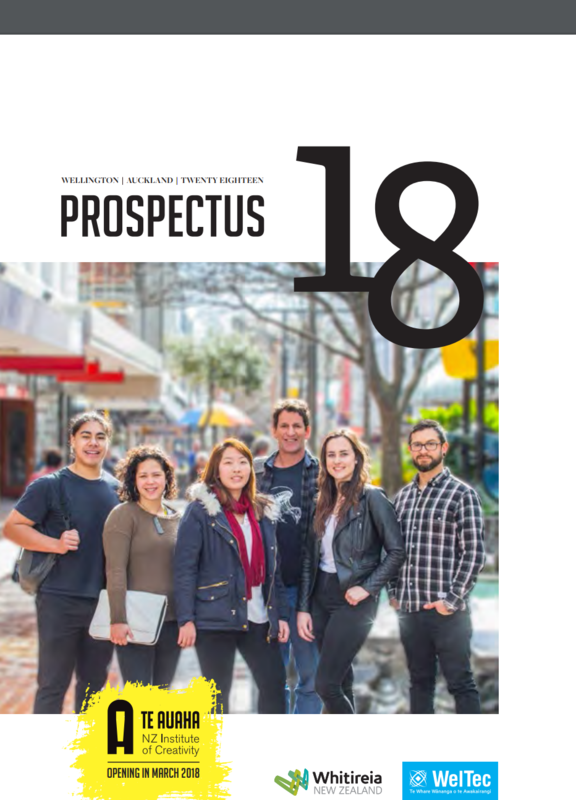 They are passionate for the further development of Whitireia as a central building block for the future of Porirua and its young people. The Foundation welcomed ‘Ana Coffey as a Whitireia Trustee in 2015. 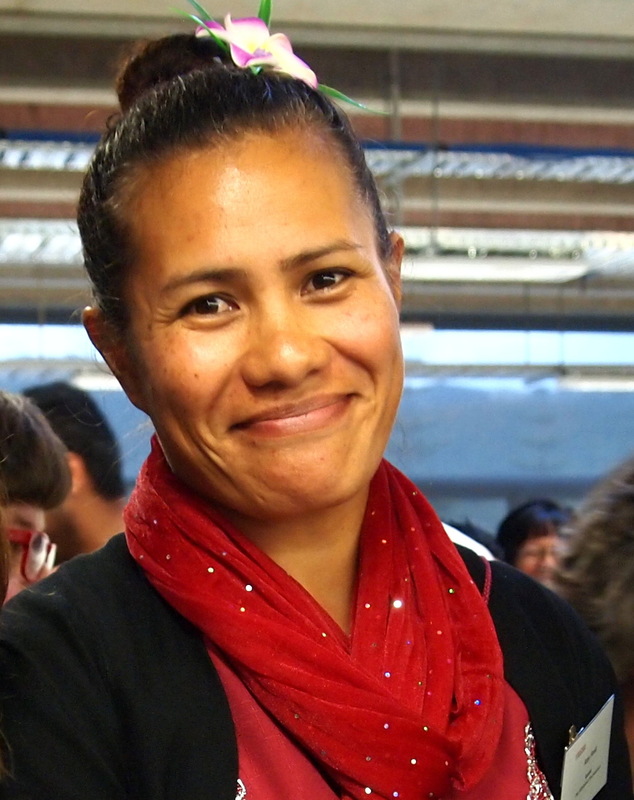 ‘Ana lives in Titahi Bay and became a Porirua City Councillor in 2010, also serving as Deputy Mayor. As a trained primary school teacher, ‘Ana is passionate about access to quality education for everyone. Her involvement with the Whitireia Foundation was in support of the kaupapa of a high quality institution providing an excellent service for the Porirua community. Ana’s contribution to the Foundation involved fostering student and sponsor liaison. Ted hails from the Waikato, where he farmed for many years, before moving with his family to Porirua. An advocate for good environmental stewardship, Ted won Environment Waikato’s prestigious Farm Environment Award in 1998 and went on to lead the national judging team for the Ballance Farm Environment Awards. Ted brings strong governance experience to the Foundation. Following a lengthy periods on Boards of Trustees of schools near Matamata, he was elected to the Board of LIC from 1996 to 2012. He has also been a member of the Boards of Dairy InSight and DairyNZ. In April 2010, he was elected Chairman of the newly formed NAIT Limited Board (National Animal Identification and Tracing), following his extensive involvement with the NAIT Governance Group during project development. Ted serves on Pukerua Bay’s Residents Association, and holds board positions with New Zealand Animal Evaluation Limited (NZAEL) and the Animal Health Board (AHB). Tim has been Executive Project Manager at E-learning Porirua since 2011, and a board member since 2009. Tim has a strong background in teaching and learning, having served as both teacher and secondary school principal. 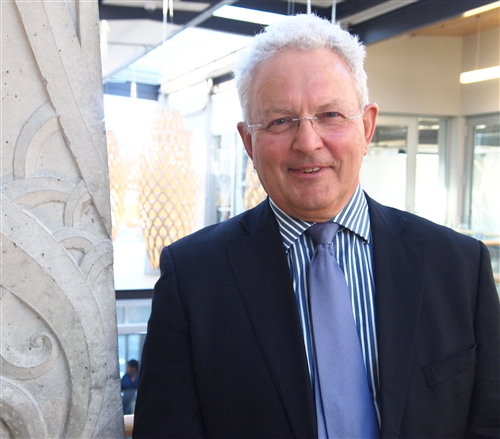 He was Aotea College (Porirua) Principal from 2008 – 2011 and Principal of Piopio College (King Country) from 2002 – 2007. In his spare time, Tim loves to be in and on the water, sea kayaking, fishing, boating, or scuba diving. He is passionate about addressing issues of inequality and injustice. Ross Garner stepped down in December 2013 from the treasurer role. He brought strong governance and financial expertise to the Foundation, gained during more than 40 years in retail and commercial banking. Ross was awarded a Rotary International Paul Harris Fellow Award in 2002, and a City of Porirua Civic Honorary Voluntary Services Award in 2003. He served more than a decade as a trustee of Partners Porirua and was recognised by the Mayor for his long service to that organisation. Whitireia Community Polytechnic’s former chief executive Deirdre Dale took the reigns as Chair of the Foundation after retiring from the top job in 2005. Deirdre had arrived at the Polytechnic in 1989 as deputy chief executive, and then led Whitireia through a time of significant expansion, as it grew to become an institution of national significance. Former Black Fern Izzy Ford is mother to three young children and a Porirua City Councillor for the Eastern Ward. Izzy was born and raised in Porirua and says its attributes are behind her sporting and other achievements. She represented her country from 1999 to 2005 with the New Zealand Black Ferns. Izzy is strongly connected to her Porirua community. Her governance roles include having chaired the Rangikura School Board. She resigned as a Trustee for the Foundation in 2015. Margaret Faulkner has a nursing background and has lived in Porirua for much of her life. She worked at management and governance levels in both the public and private sectors, and brought a wealth of skills and knowledge from those experiences to the Whititreia Foundation. Margaret was appointed to the original (1985) Whitireia Community Polytechnic Council and remained on the Council for the next 17 years, with most of those years spent as Council Chair or Deputy Chair. Over the years she has been involved with a number of health and education-related Porirua organisations, including Partners Porirua. In 1996 she was awarded a QSM for services to health in Porirua and in 1998, received a Jean Harris award for the development and progress of women in society. While Margaret resigned from the Whitireia Foundation in 2014, she maintains her focus on those people in this community who need additional help to reach their potential. We thank Margaret for her invaluable contributions – she has been part of changing many lives. Dennis Sharman represented the Weltec/Whitireia Combined Council on the Foundation and stepped down in early 2014. Dennis has a background in computer engineering and business consultancy, and is a founding member of the National Association of Maori Mathematicians, Scientist and Technologists, and Te Awe – Wellington Maori Business Network. Dennis has chaired the Chairperson of Tawa School Board of Trustees and is President of Star Gymnastics.